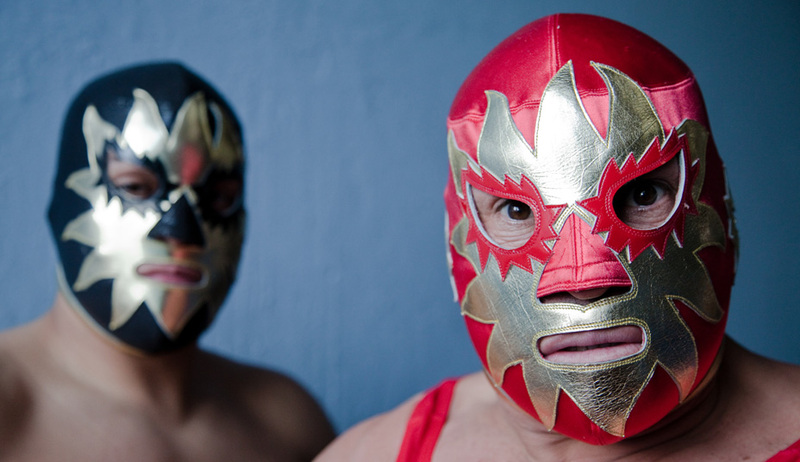 Tales of Masked Men, a new documentary about the colorful, fascinating and mysterious world of lucha libre — Mexican wrestling — is currently showing on PBS, and at film festivals, and is available for download and on DVD. 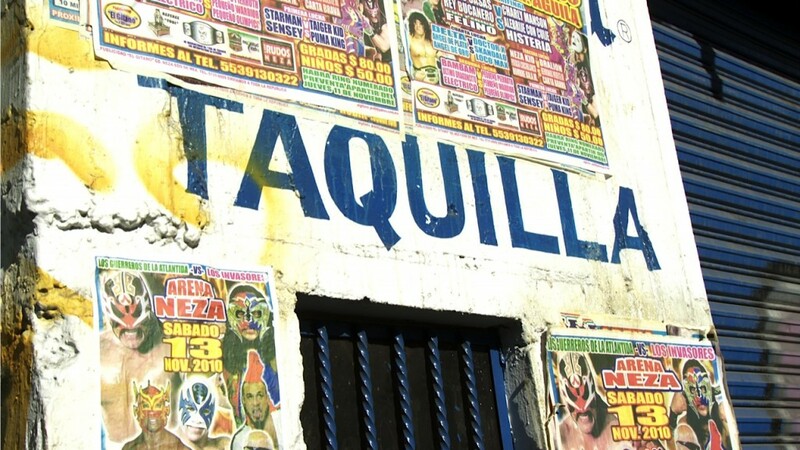 Shot in Mexico and the United States and filled with the passion and excitement that defines its subject, the film explores the history of lucha libre and what has made this eighty-year-old phenomenon endure. The film is directed by award-winning director Carlos Avila and is co-produced and edited by Thom Calderón. 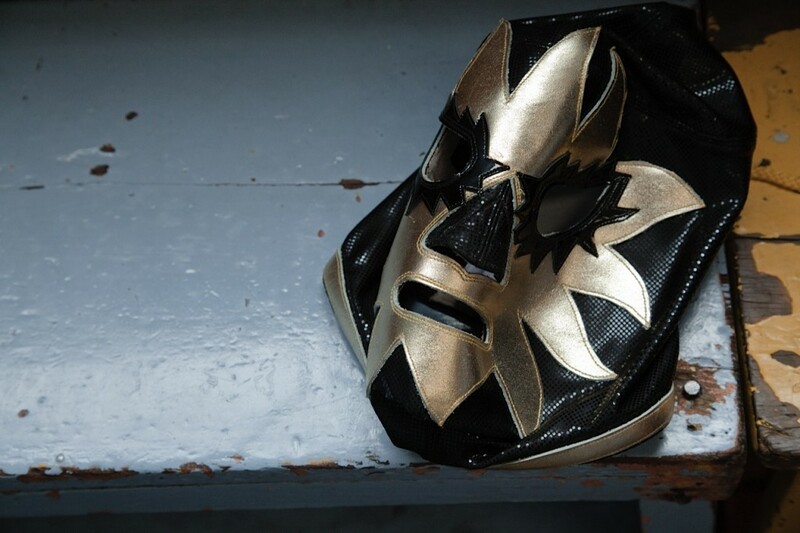 Tales of Masked Men introduces three wrestlers, each of whom embodies different aspects of the sport and its traditions. The most revered and famous masked Mexican wrestler of all time is El Santo, once a journeyman wrestler who struggled to find a place in the lucha libre world. El Santo rose to prominence in the ring, eventually becoming an international film and television star whose persona and humanity deeply resonated with Mexicans. Originally a rudo, El Santo ultimately transformed into an icon signifying the triumph of good over evil, a national hero in Mexico whose presence is still felt today. Standing just 4’ 5” tall, Mascarita Sagrada is one of the most dynamic and acrobatic wrestlers working in lucha libre today. 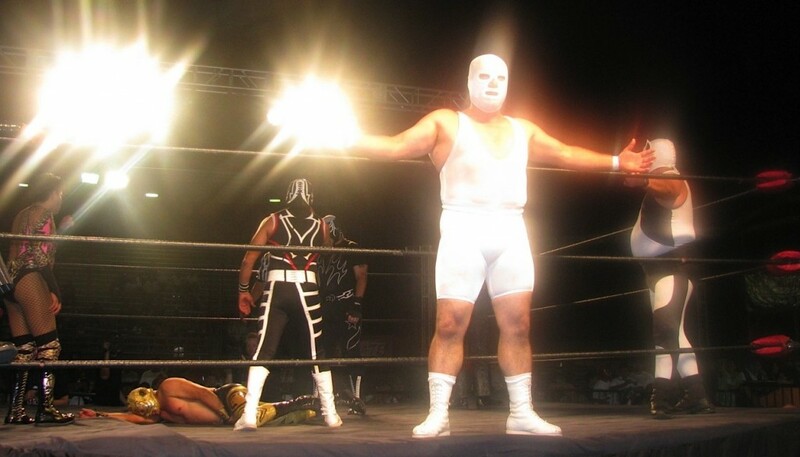 The film examines the evolution of this personcita (little person) from his early life as the sheltered child of protective parents to becoming a masked wrestler. We hear the stories of how other mini-luchadores helped Mascarita develop into the wrestling great he is today. Finally, we meet the classic wrestler Solar. Solar is in his fourth decade as a luchador and continues to wrestle throughout the world, regularly travelling to Japan, England, the United States and other parts of Europe. Rising out of a childhood of rural poverty, Solar found an identity and a livelihood in lucha libre. Sensing that the end of his career is near, Solar trains and prepares his son, Solar Jr., to step into the ring. Ultimately he may pass the Solar persona and mask on to his son, a lucha libre tradition that ensures immortality for the character. Featuring interviews with cultural commentators, wrestlers, and observers of the sport as well as archival footage and clips from the “masked wrestler” adventure films, Tales of Masked Men is the vibrant story of how lucha libre has taken root in Mexican and Latino culture and become an integral part of its very identify. Tales of Masked Men is a co-production of Echo Park Films, Inc., Latino Public Broadcasting and ITVS. Get the "Tales of Masked Men" DVD and other merchandise! Click here for more details.